Gardens can captivate, relax and delight. But they have also been the setting for political statements and bloody protests. George McKay argues that we must dig beneath the flowerbeds and see the turf wars instead. Gardening is suburban, it’s a leisure activity and a TV-makeover opportunity. Its origins are religious or spiritual (Garden of Eden), military (the clipped lawn, the ha-ha and defensive ditches), aristocratic or monarchical (the stately home, the Royal Horticultural Society). It’s a practical, hands-on, common-sense thing we do – and Britons do it a lot. For millions of us, gardening is our regular pleasure. But there is an alternative route, through history and across landscape, away from practice and into ideas, that explores the link between, say, propagation and propaganda, or pomegranate and hand grenade. Just think of the words of the radical gardener-artist Ian Hamilton Finlay, from his contumacious green space called Little Sparta in the Scottish lowlands: “Certain gardens are described as retreats when they are really attacks.” But how can a garden be an attack, a flower a critique, a trowel an agent of social change? Notions of utopia, of community, of activism for progressive social change, of peace, of environmentalism, of identity politics, are practically worked through in the garden, in floriculture and through what art historian Paul Gough has called “planting as a form of protest”. But not all – some are sobering, or frightening, for within the territory of the politically “radical” there have been, and continue to be, social experiments that invert our positive expectations of the human exchange that occurs in the green open space of a garden. There are fascist gardens (for the Nazis the land and its planting were pivotal to their ideology): the notorious herb garden at Dachau concentration camp (run on the biodynamic principles of Rudolf Steiner which were favoured by many senior Nazis); the SS “village” at Auschwitz, as recalled by Primo Levi, with its domestic normality of houses, gardens, children and pets – and the garden paths paved with human bones. The BNP has also argued for the planting of old English varieties of apple trees as part of its campaign to preserve a pure and rustic national culture. In spite of being neither English nor a nationalist, I have planted a “lost” local heritage apple tree in my Lancashire garden (it doesn’t fruit as much as the Bramley bought end-of-season from B&Q for a fiver, thus probably explaining why it was lost). But nonetheless, can we say that the discourse of horticultural purity and nativism – and even more so of native vs invasive species – maps uncomfortably on the politics of extreme nationalism and xenophobia? Kincaid and other writers – like Gough, Martin Hoyles and Kenneth Helphand – have helped shape my own understanding of the garden as a place that actually confronts and addresses the cares of the world. Helphand’s Defiant Gardens: Making Gardens in Wartime in particular, a study of gardens in the most unlikely of wartime settings (such as planted by troops in First World War trenches or in Jewish ghettos), with a stunning set of archive images from military and holocaust museums, made me completely rethink what might be definable as a garden. This isn’t a forced juxtaposition of plant and ideology. Think only of the English radical writer William Cobbett, who declared in 1819 that “if I sowed, planted or dealt in seeds, whatever I did had first in view the destruction of infamous tyrants”. Or the early 20th-century revolutionary playwright Bertolt Brecht, who observed, with startling accusatory power, that “famines do not occur, they are organised by the grain trade”. Or the Peace Pledge Union’s white anti-war poppy, or the 1960s’ hippie placing a flower down the barrel of the National Guardsman’s rifle. Or the female Colombian activist speaking recently to Western buyers on behalf of the 40,000 women working in the pesticidal Colombian flower industry: “Behind every beautiful flower is a death. Flowers grow beautiful while women wither away.” Or street artist Banksy, whose most famous images include the masked rioter throwing not a petrol bomb, but a bunch of flowers. These horticultural snapshots illustrate a compelling and enduring connection between plant and politic, a radical gardening. In his recent book, Nowtopia, Chris Carlsson writes of a politics inscribed in the very act of “slowing down the gardener, making her pay attention to natural cycles that only make sense in the full unfolding of seasons and years. In a shared garden [especially], time opens up for conversation, debate and a wider view than that provided by the univocal, self-referential spectacle promoted by the mass media”. Climate change, peak oil transition, community cohesion, the environment, genetic modification and food policy, diet, health and disability – the garden is the local patch which touches and is touched by all of these kinds of major global concerns, whether it wants that kind of attention or not. In a sparkling collection of autonomous essays from a decade ago called Avant Gardening, Peter Lamborn Wilson comments wryly that “‘cultivate your own garden’ sounds today like hot radical rhetoric. Growing a garden has become – at least potentially – an act of resistance. But it’s not simply a gesture of refusal. It’s a positive act”. Community activist-gardener Heather C Flores has written of being as “radical as a radish”. For Flores (I’m guessing that’s a pseudonym), “radical” (like radish, from radix, Latin, meaning root) is an essential attribute of gardening, in the sense that “it comes from, and returns to, the root of the problem: namely, how to live on the earth in peace and perpetuity”. A simple enough problem, and one that, in Flores’s view, the garden can help solve. While Winston Churchill stated to Siegfried Sassoon that “War is the natural occupation of man… war – and gardening”, I am more interested in the peace-garden movement. Rather than what Helphand calls the “antigarden” of a war-ravaged landscape, I’m fascinated by the CND-influenced peace garden of the type produced by left-wing local authorities in public parks in the 1980s, many of which are still around in some form. You could make a standard peace garden in a public park with a modest pagoda, some peace roses, maples, cherry trees for spring blossom, and one or two small pine trees clipped in cloud shapes – this cluster of plants and structures signified a political statement of anti-nuclearism, bringing a piece of Japan to the British park, as a gesture of solidarity and memorialisation. A real political planting is in operation here – the design and construction of a polemic landscape. Perhaps with Fukushima we will revisit and freshen up some of our remaining peace and anti-nuclear gardens. Curiously perhaps, the cosy and familiar space of the British allotment is a profoundly political – and, I believe, anti-capitalist – environment. In their classic book The Allotment, David Crouch and Colin Ward point out that the very term contains a political position: “the word ‘allotment’ implies deference and allocation, qualities that indicate a relationship between the powerful and the powerless”. Yet the fact remains that this wilfully anti-capitalist state-sponsored horticulture is as radical a practice of gardening as any in government policy. The allotment’s anti-capitalism is most clear in two fundamental features: first, the astonishingly low rents charged for plots by local authorities, which is a powerfully consistent rejection of spiralling urban land market values; second, the legislative fact that, by and large, produce grown by allotmenteers cannot be sold commercially for profit. The standard treatment of a surplus or seasonal glut is to give it away: the allotment is predicated on a social and economic practice defined by, in Crouch and Ward’s term, “the gift relationship”. In their view, an anarchistic “combination of self-help and mutual aid… characterises the allotment world”. Furthermore, in a nationwide public socio-horticultural experiment that has endured and transformed itself for over a century, it is on the allotment, among the bean frames and sheds, the DIY glass houses and the patchwork of dirty labour, that we should look in Britain for a quiet seasonal radicalism. Sometimes the garden has been the target of political attack and in British garden history among the most notable of these campaigns were the garden attacks by suffragettes in the early 20th century. These were done with a very clear understanding of the gender relations underpinning land and garden (after all, the new gardening colleges for women then springing up were teaching other – or perhaps the very same – suffragettes careers in horticulture). So some suffragettes damaged male-only golf greens with acid spilled secretly at night to ruin the next day’s playing. The most notorious of these acts – reported as “female vandalism” – was the targeting of Kew Gardens in 1913: first the smashing of the Orchid House and then the firebombing of the Tea Pavilion. As one horticultural magazine described events: “Kew has been marked out by the suffragettes as one of the scenes of their exploits. They smashed a quantity of glass in the orchid house, and in a manner that one can scarcely accredit to sane adults,wantonly tried to destroy the plants”. In January 1999, during his lamentable campaign against New York’s wonderful community gardens, made by local people since the 1970s on vacant lots of “waste” ground, Mayor Rudy Giuliani said that “if you were totally unrealistic you could say everything should be a garden”. Well, there are countless instances of people being “totally unrealistic” about gardens. From Hyde Park revolutionaries and ravers to utopian cranks and simple-lifers in garden cities like Letchworth, biodynamicists and back-to-the-landers, permaculturalists, white-poppy pacifists, separatist peaceniks, suffragettes, flower children, allotmenteers and guerrilla gardeners… such a constituency of unrealistic pragmatists (they are gardeners, after all) is in my view quite a good social grouping with which to dream and to make a better world – or, failing that, to lower the ambition to a realistic level, to make the world slightly less bad than what we are currently on track for. Radical gardeners should be part of the solution. In the East Anglian Fens of 1840s’ England, a utopian community was established at Manea Farm to make a new world – money was abolished, there was intensive agriculture, a cricket pitch, free love, militant feminism, even an independent press. Colonists likened themselves to Robin Hood and his foresters and dressed all in green – men in a green habit, women in green trousers. In England during the 1920s and 1930s a curious uniformed youth organisation was one of several established. The Kindred of the Kibbo Kift was a non-militaristic alternative to the Boy Scouts movement, whose most significant achievement would be its offshoot, the Woodcraft Folk. Members marched in green (in the 1930s they became known as “Greenshirts” as opposed to the fascist “Blackshirts”), and some threw green bricks in protests at Downing Street and banks. In 1970s’ London a small group of activist-architects, the Street Farmers dressed in green boiler suits, consisted of environmental radicals who advocated the ploughing up and planting of the urban streetscape. And today’s Green Bloc of radical protestors constitute the environmentally centred part of the global anti-capitalist movement at demonstrations. Crossing centuries, each of these movements (if not too grand a term for some) dressed in a shock of green clothing – a semiotic marker of some combination of romantic outlaw – and had a focus on nature, a radical and often unpredictable critique, an environmentalist belief and lifestyle, perhaps even all of these at the same time. Together they form a stylistically consistent and surprisingly persistent strand of the critical rejection of dominant society and an energetically creative social mobilisation around questions of land, even of horti-counterculture. It may seem paradoxical that a meditation dealing with memory and meant to celebrate the life and legacy of Nelson Mandela should start with the confession that I cannot recall the date when I first heard his name. When he was arrested in 1962, I was 20 and a bit of a firebrand myself, taking time off from my studies at the University of Chile in Santiago to fight the police in the streets and help organise slum dwellers in the shantytowns of my impoverished nation. South Africa was already the symbol of the most unjust and inhumane system in the world, but its struggle was a mere glimmer, resplendent yet distant, on the consciousness of a generation whose heroes were Che Guevara and Salvador Allende, who was to become the first socialist elected by democratic means as president of Chile in 1970. Even during the three years of Allende’s peaceful revolution, whose ideals could have been modelled on the Freedom Charter of the ANC, even during those 1000 days when we did our best to create a country where no child was hungry, no peasant was landless and no foreign corporations owned our soil and our souls, I can’t recall that we specifically protested against Mandela’s captivity, except as part of a general repudiation of apartheid. It was only after Allende died in a military coup in 1973, only after I went into exile, that the name Mandela gradually became a beacon of hope, a sort of home to me. By the 1970s, of course, he had already solidified into a symbol of how our spirit cannot be broken by brutality, but his significance to me also grew out of the collusion of the governments that misruled our respective people. The government that imprisoned him and his fellow patriots and denied them and millions of South Africans their basic rights turned out to be one of the scant allies of the South American dictatorship that banished me and was ravaging my land. Vorster and Botha were the pals of Augusto Pinochet: they exchanged medals, ambassadors and pariah-state visits; they sent each other admiring gifts; they shared weapons and intelligence and even tear-gas canisters. I could continue with unfortunate and shameful examples, but one intersection of South African and Chilean terror should suffice: in 1976, the year of the Soweto massacre, we were suffering a slow massacre of our own, the Chilean junta and Pinochet were making infamous the system of disappearing people. My increasing reverence for Mandela in the 1970s and 1980s cannot be separated from the fact that his people and my people were bent on a parallel quest for justice against a brotherhood of enemies who wanted us to disappear from the face of the earth, as if our very memory had never existed. Even so, it was not until Chile regained its democracy in 1990 and Mandela’s release in the same year, it was not until both countries began to wrestle with the dilemmas of how you confront the terrors of the past without becoming a hostage to the hatred engendered by that past, it was not until both South Africa and Chile were forced to ask themselves the same burning questions about remembrance and dialogue in our similar transitions to democracy that Madiba became more than a legend to me and, with his wisdom and pragmatic compassion, grew into a guide for contemporary humanity. A few years back, while giving away books to school children in a Chilean shanty-town as part of an NGO’s literacy programme, I was approached by an old carpenter. “If it’s true that you worked by the side of Salvador Allende,” he said, “I have a story to tell you.” Carlos - that was his name, if I’m not mistaken - had been an enthusiastic supporter of the socialist government. Allende had created a programme that helped Carlos to buy his first and only house, Allende had understood why children should have free milk and lunch at school, Allende had filled that carpenter with hope that workers need not be forever dispossessed of a future. Following the military takeover of September 11 1973 that left Allende buried in an unmarked grave and his image forbidden, soldiers raided the carpenter’s neighbourhood, breaking down doors, beating, arresting and shooting residents. Terror-stricken, Carlos hid a picture of the martyred president behind the boards of one of the walls of his house, where it remained throughout the 17 years of the dictatorship. He did not remove it even when democracy returned to Chile. It is an inspiring story, because Carlos was not a militant, a soldier of the revolution sacrificing himself for the common good. That made his gesture all the more significant. An inspiring story, but also sobering. Mandela has explained how “at the very heart of every oppressive tool developed by the apartheid regime was a determination to control, distort, weaken and even erase people’s memories”. Memory does not exist in a vacuum. If there had been no justice, if Pinochet had not been made to face judges and answer for his crimes, the memory of that carpenter would have remained encapsulated. For the memory to flow into the open, the fear also had to flow out; there had to be a societal space where the portrait from the past could be safe. Carlos was eventually able to bring together his private and his public memory because others had risked everything in order for liberation to exist. For one memory of resistance to persevere, it needs to eventually belong to a savannah of commonality. It cannot prevail against violence and censorship if it does not join a vast archive of other forbidden memories. The case of that carpenter is sobering, no matter how fervently admirable his loyalty, because the very isolation and secrecy of his hideaway also reveal how ultimately precarious any merely inner and covert rebellion can be. In 1997, on my first, and until now only, visit to your country, I was taken to District Six in Cape Town, that site of conscience that commemorates what happened in a multi-ethnic neighbourhood torn apart by discrimination. As I toured the museum with one of its guardians, he told me about a recent hearing of the Truth and Reconciliation Commission. It is a wondrous story. So perfect, in fact, that as soon as I was invited to deliver this lecture, I decided to make use of it here this afternoon. And in order to give that chronicle more historical heftiness, I tried to track it down through my friends at the Mandela Foundation, but in spite of assiduous research, no concrete reference was uncovered. Nor could the curators of the District Six Museum, or several journalists and writers, recall the anecdote. There was always the same answer: nobody could summon up that story. I cannot, therefore, offer a name now, put flesh and blood on the protagonists. Above all, I would like to concentrate on the homeless orphan and what it might mean to him to be taken care of, to be truly cared for. Because all my words are meaningless unless they reach that child, unless they help fashion a world which that child deserves to inherit, unless the stories I have been telling speak to that boy who lost his parents. I wonder, in fact, if that child, now grown, is not listening to this lecture, if he will not come forward in the days ahead to claim his public place, emerge from the hazy boundaries of storytelling into the history of his country, like the photo of Allende yearned to emerge into the history of my own land. Think of children like him, boys like him, girls like him, all over the world. Think of them as potentially homeless because of our actions. Let us attend then to the message of hope that Mandela has been sending us. One of the major pleasures of Madiba during his captivity was his garden. He tells often of how uplifting it was to plant and harvest under the sun and rain, to be in control of that small patch of earth when he controlled nothing else in the world except his dignity and his memories and his comrades. He tells us of the joy of sharing with his fellow prisoners, but also with his jailers, the bounty that his labours produced, what he and the land birthed into existence in spite of the injustice and the sorrow and the separations. Mandela’s garden is not a fluke, an exception. Recently I have been reading a book called Defiant Gardensby Kenneth Helphand, who recounts the story of gardens created improbably in the midst of the viciousness of war. The desperate gardens of the Warsaw ghetto and the stone gardens cultivated by the Japanese Americans in their internment camps during World War 2, the vegetable beds fashioned in the shadow of the trenches of World War 1, the gardens which flourished minimally, at first hesitantly, then insolently, and always with gentleness, as the bombs fell in Vietnam and as American soldiers prepared to fight in Korea and the Persian Gulf. What is fascinating is that these diverse and divergent gardeners do not align themselves on the same side in war; they might even be sworn enemies. Yet, they are all human, they all hunger for flowers and fruit, they all ache to keep alive a hint that something will grow in spite of the surrounding night of destruction. There is no guarantee that we will ever reach the deep reconciliation we need as a species. Indeed, I tend to think that some damage done is irreparable. I notice that when justice comes infrequently, the most long-lasting memories are in danger of fading. But when despair visits me, I hold on to the image of the garden. A garden that grows like memories should. A garden that grows as justice should. A garden that grows like true reconciliation should. And do not forget that for crops and vegetables, for leaves and trees, to grow, we need to sing to them. We need to sing to the earth so it will forgive us and continue to provide hope. 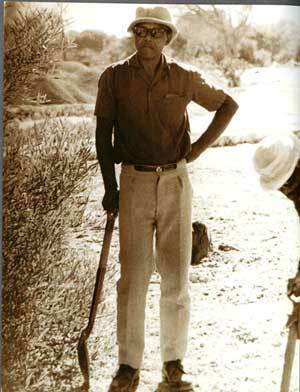 We need to always remember the multiple, infinite gardens of Nelson Mandela and his people. Dorfman is the author of the famous Death and the Maiden, among other plays and books. His website is www.arieldorfman.com. For a complete version of the lecture, visit www.timeslive.co.za.